New England Patriots quarterback Tom Brady shows no signs of slowing down and says he intends to continue playing for the foreseeable future. 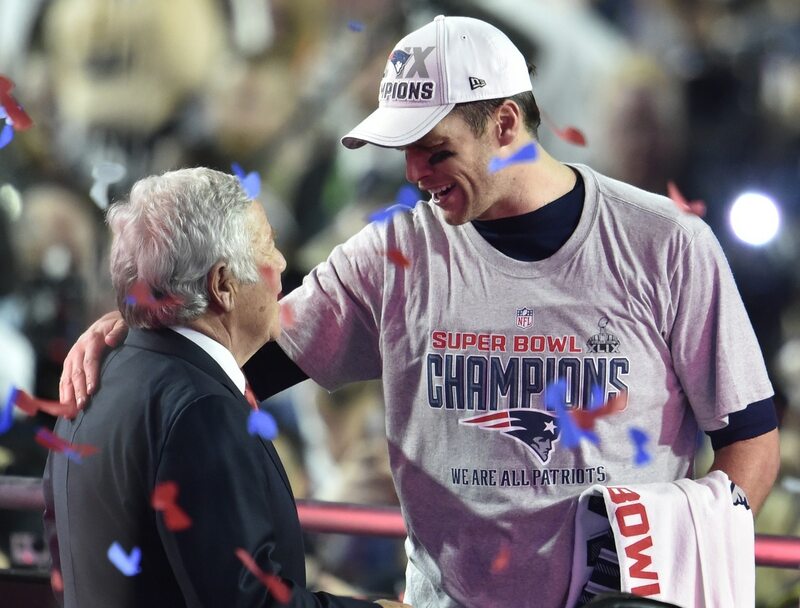 His plan aligns perfectly with Patriots owner Robert Kraft who is open to extending Brady’s contract. Kraft saying, “I would be quite surprised if he did not continue for quite awhile as our quarterback” is the money quote here. He points out that Brady is a quarterback who has gotten the Patriots to the Super Bowl the last three years. The future Hall of Famer is still playing at an extremely high level for being the oldest active quarterback in the league at the age of 41. He passed for 4,355 yards in 2018 which marked the seventh-most for Brady’s career. As things stand currently with Brady’s contract, he is signed through the 2019 season earning an average annual salary of $20.5 million. An extension and a pay increase are rightfully due considering there are 15 other starting quarterbacks in the league cashing in a bigger paycheck that Brady. And it would appear from Kraft’s comments that extending Brady’s contract will be one of the items of business in New England this offseason.